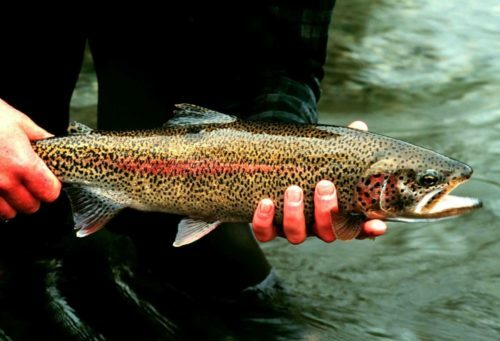 Urban trout fishing? 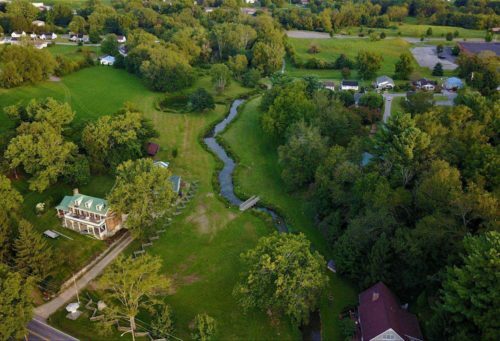 The idea is surprising, but that's exactly what Abingdon offers, thanks to a multi-year restoration of Wolf Creek, a spring-fed creek that runs through the historic Abingdon Muster Grounds. The Abingdon Muster Grounds are a 9-acre historical park located within the town limits of Abingdon, just 5 minutes from downtown. The restoration focused on the stretch of Wolf Creek which runs through the Abingdon Muster Grounds. This restoration project helped stabilize the stream bank, improve the hydrology, create habitat and re-introduce native species of plants and trees. During the Revolutionary War, 400 Virginians set out to join patriot militia from modern-day Tennessee, North Carolina, South Carolina, and Georgia. After a two week campaign, the Overmountain Men fought the Battle of Kings Mountain with overwhelming success, helping turn the tide of the war. As they gathered, or "mustered," they would have camped on the banks of Wolf Creek. The new restoration, in addition to providing habitat for trout, helps recreate the look of the creek as the Overmountain Men would have known it. Every year, reenactors celebrate the Revolutionary War Battle of Kings Mountain, 1780 with living demonstrations at the Abingdon Muster Grounds. The stream bank restoration was sponsored by: The Town of Abingdon Virginia, Mountain Empire Chapter-Trout Unlimited, Virginia Department Game and Inland Fisheries, Virginia Department of Forestry, Upper Tennessee Roundtable, National Park Service-Overmountain Victory National Historic Trail, Carter Land and Water and the Virginia Chapter-Overmountain Victory Trail Association.